Electric Car: 0-100kmph in 1.779 seconds…Believe it!! Okay. So you think it would be impossible to achieve that speed in an electric car when the worlds fastest hypercars are struggling to below the 2 second mark. But it has been made possible and not by techies working in some ultra modern facilities with humongous budgets but college students!! Students of the University of Stuttgart have set a new Guinness World Record for the fastest acceleration from a standstill to 100 km/h in just 1.779 seconds. 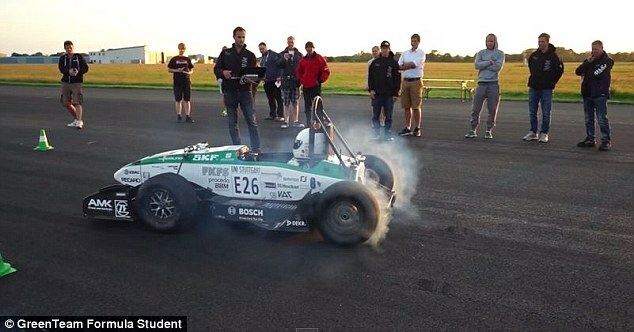 The GreenTeam Formula Student participants have achieved this result with an electric vehicle and bettered the previous by 0.006 seconds which was in possession of ETH Zurich. This is faster than Formuala 1 cars and totally bonkers. Some of the engineers working on the team. The car has been developed by 40 students at the University of Stuttgart to help them compete at the Formula Student Electric competition which requires students to build a single seat race car to compete against teams from around the world. The competition is due to be held in Hockenheim in Germany later this year. 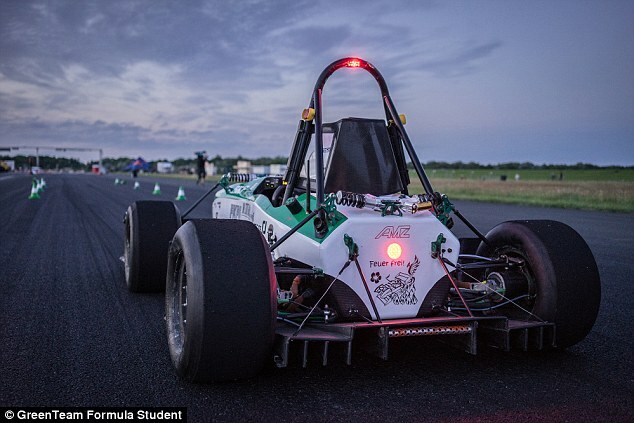 The 100kW all-wheel drive vehicle designed to race in the Formula Student competitions, is powered by four motors and a 6.62kWh battery package. With a vehicle’s weight of 160 kg, the power to weight ratio is 1,6 kg/kW. What is more ridiculous is that it achieved the speed of 100 kmph from standstill in just 25 meters. All set for the run. The record will be confirmed by Guinness World Records in the next couple of weeks. Tesla Model S P85D with a mindblowing 691 bhp unveiled!